Effective July 1, the International Maritime Organization will mandate that every container have a verified gross mass before it can be loaded onto a ship and travel to its final destination as part of an amendment to the International Convention for the Safety of Life at Sea. 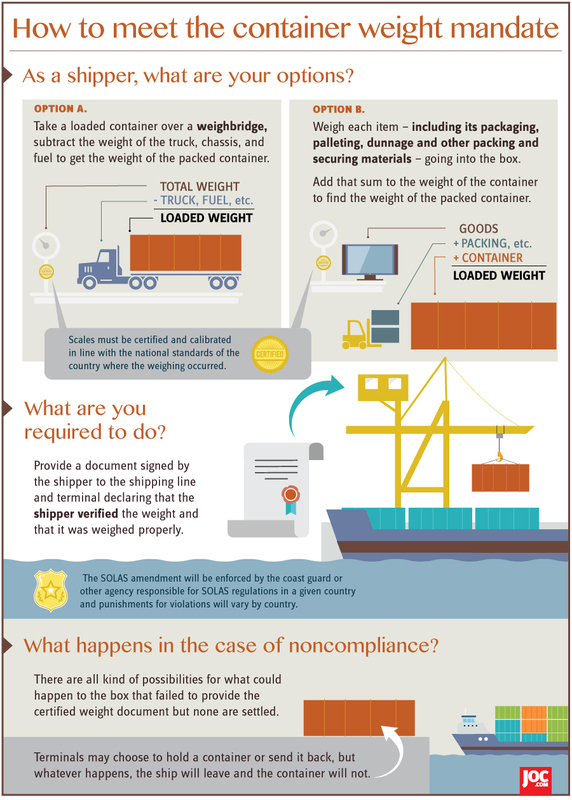 The regulation means shippers will incur additional costs as they work to weigh containers and file the proper documentation. Study: Port’s Economic Impact State-Wide is Significant; 374,000 Jobs, $60B in Spending, as reported December 29, 2014.